Host committee members Betty Buckley, Misty Copeland, Kelli O’Hara,Bernadette Peters, and Janice Reals Ellig present the 20th Anniversary of Nothing Like a Dame on Monday, October 24, 2016 at the Samuel J. Friedman Theatre (261 W. 47th Street). The evening, which features all singing, all dancing, and all women, will benefit The Actors Fund’s Phyllis Newman Women’s Health Initiative. Nothing Like a Dame will honor Tony Award nominee Marin Mazzie with the first-ever Phyllis Newman Dame Award. Tickets are now on sale. 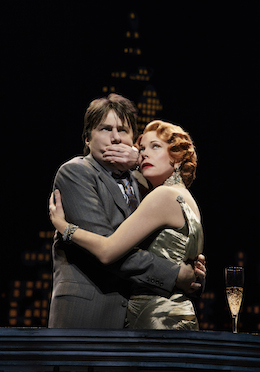 Zach Braff and Marin Mazzie in “Bullets Over Broadway” (photo: Paul Kolnik) via The Broadway Blog. Produced by Phyllis Newman, with direction by Bebe Neuwirth, Nothing Like a Dame will feature performances byChristine Ebersol, Melissa Errico, Julie Halston, Judy Kuhn, Tonya Pinkins, and Karen Ziemba, along with Ali Stroker and Erin Hill, and Ava Briglia, Willow McCarthy and Aviva Winick from the cast of Matilda, The Musical. Tickets for Nothing Like a Dame are $75, $100, $150, and $250 and are now on sale online at www.actorsfund.org/Dame2016 or or by calling 212.221.7300 ext. 133. 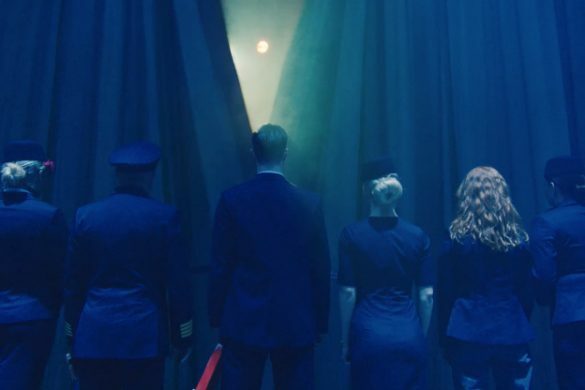 Tickets that include a post-performance cast party are available for a donation of $500. The Actors Fund is a national human services organization that helps everyone—performers and those behind the scenes—who works in performing arts and entertainment. Serving professionals in film, theatre, television, music, opera, radio and dance, The Fund’s programs include social services and emergency financial assistance, health care and insurance counseling, housing, and employment and training services. With offices in New York, Los Angeles and Chicago, The Actors Fund is a safety net for those in need, crisis or transition.